As a realtor, you’re constantly thinking up new ways to attract buyers and promote your property portfolio. 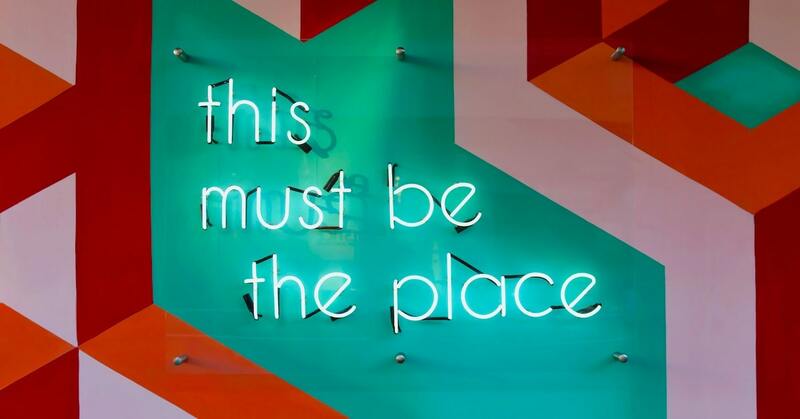 Getting your business in front of the right people is absolutely vital for its success, but therein lies the struggle — finding those people in ways that work for you, here and now. Cue Instagram, the platform that’s social, personal and professional all rolled up into a fancy visual gallery. Perfect for realtors and their properties. Instagram covers a number of bases. It acts as your property portfolio as well as a lead generator, plus it has the added value of allowing you to build your brand and connect with past and potential buyers. The visual nature of Instagram works wonders for house listings, because, let’s face it — who doesn’t love scrolling through pictures of beautiful homes and fantasizing about living in them? Then there’s the audience demographics aspect. More than 80% of Instagram’s users are under the age of 34 (a.k.a. Millennials) and, according to a study by the National Association of Homebuilders, 90% of millennials want to own a home. That’s a lot of untapped market potential — people for whom you could help fulfill their dreams. So how can you work your magic on Instagram? Buying a house is a huge decision, not one that many people take lightly. But seeing other people investing in their dream homes can spur an on-the-fence buyer into action. This is exactly what realtor Tim Miller counts on. Letting a prospective buyer see where they could be if they signed up with you as a realtor makes them much more likely to do so. 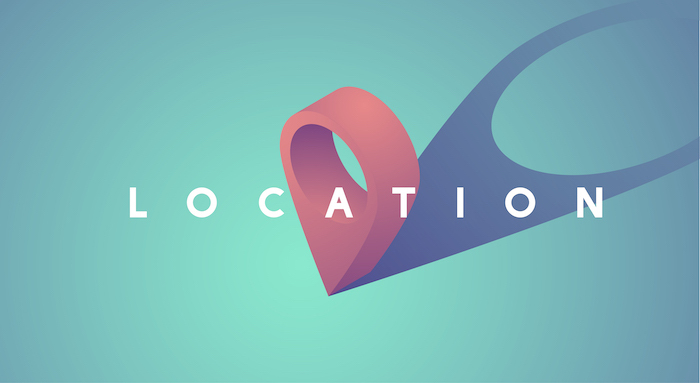 This one’s a no-brainer for realtors, as your businesses are location-oriented by definition. Simply geotag your posts to attract customers and clients who are looking for properties in that area to get more relevant eyeballs on your listings. Use your city and any notable district or neighborhood tags. People who are actively searching in specific areas are likely to be further down the buying funnel, which will make them easier to convert into leads. Homebuyers often go for a realtor that they feel an instant connection to. After all, if a realtor has the same values and interests as them, surely that means they’ll be on the same wavelength for house-hunting, right? This is where the personal angle of Instagram can be really successful. Instead of just showing pretty houses, give prospects a chance to get to know you and why you are the realtor who’s going to find them their dream home. Creede Fitch does a great job at this by sharing his home life (and pics of his dog!) in addition to his listings. Seth O’Byrne does the same; he posts photos of his family so that prospects can get a real insider look into his life. 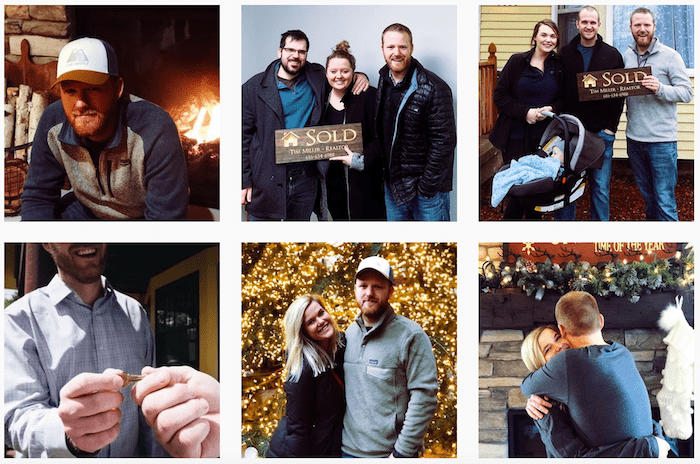 Remember, being a realtor isn’t just about selling houses, you’re selling a lifestyle, and Instagram is a great place to share that aspect of your business. People today are much more likely to buy into a brand that shares the same values as them, which makes turning followers into leads much easier when you’ve been showing off who you are as a person as well as your property portfolio. 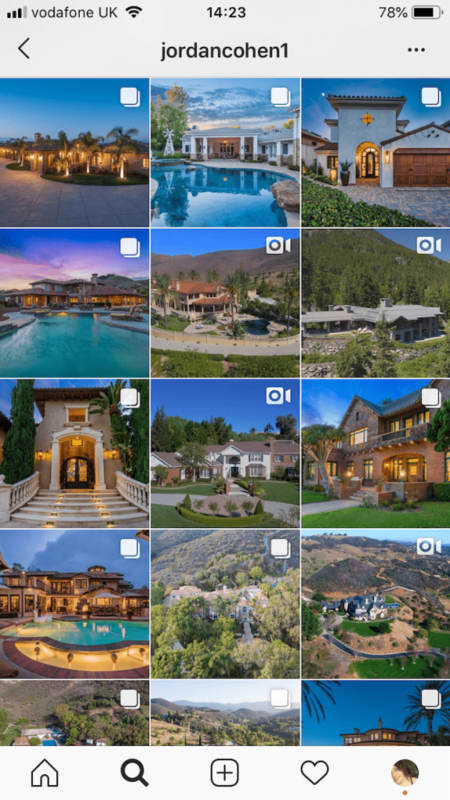 As a realtor, you’re lucky enough to be out and about visiting different places all the time (and often pretty cool places, at that) so simply documenting where you are and what you’re doing can bring a breath of fresh air to most prospects on Instagram. 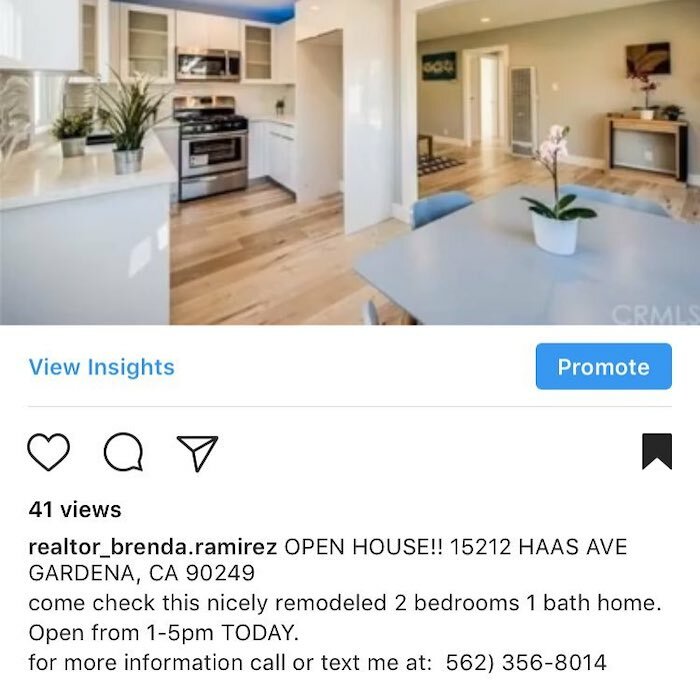 You can also use Instagram’s Stories feature to share facts and information about a particular neighborhood or the local attractions that one of your listings benefits from. This not only adds depth to your listings, but it also positions you as an expert on that area which, in turn, will attract people who are looking to buy in the vicinity. Giving yourself that edge is going to encourage more people to sign up with you because at the end of the day people are more likely to buy from someone they consider an authority. A picture speaks a thousand words, but a video speaks tens of thousands more. 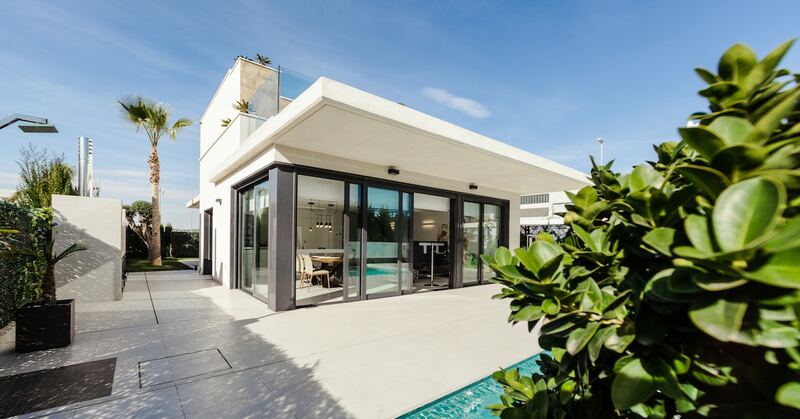 In fact, video lends itself perfectly to the world of real estate because people actively want to see every angle of a house before they even think about visiting it in person, let alone parting with their hard-earned cash. Using drone-filmed footage is huge in real estate right now. In fact, you can pretty much count on every expensive house having a drone video to accompany its listing. Don’t limit yourself to drone videos just because everyone is doing them, though. There are plenty of other creative ways to use video on your Instagram. How about chopping up longer videos into short clips and mixing and matching with drone-created content and other moving shots? Research shows that 57% of consumers say videos give them more confidence to make a purchase, so if you’re not already wielding the power of moving visuals, just what are you waiting for? This is pretty obvious advice, but only use the highest-quality photos you have. Your feed should present a particular aesthetic that shows off your properties in the best way. Think about keeping your lighting consistent, or editing each shot in a way that creates a succinct and themed portfolio. Buyers are drawn to the visuals of a house (or not) at that first glance, so make the most of this opportunity. Research shows that being consistent with the visuals you put out there can increase conversion rates over time as people come to expect good stuff from you. But you also don’t want them lost in the endless scrolling-by without so much as a hook. The best thing is to encourage them to keep you in mind for when they are ready to commit to a house. As well as directing people to your mailing list, you can also ask them to come to your open house, download a guide to their desired neighborhood, or even meet you for coffee and to hear your real estate secrets about their area. Businesses that use CTAs get more conversions than those that don’t, so tap into the power of this simple but effective tool. 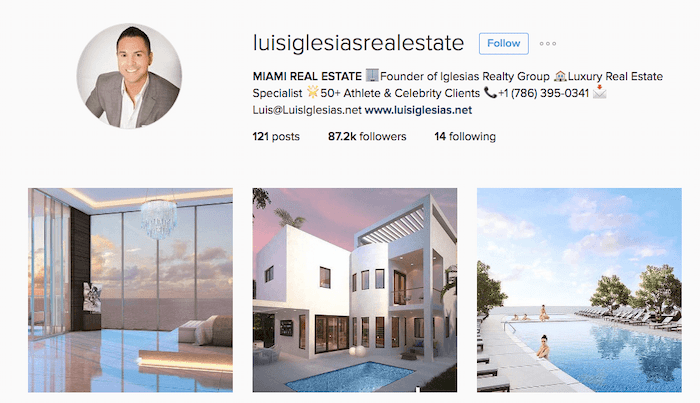 There are thousands of realtors on Instagram, many of whom post with certain hashtags depending on the location or the types of houses they sell. For example, plenty of realtors in the San Diego area post under the hashtags #sandiegohomes and #sandigeorealtors. 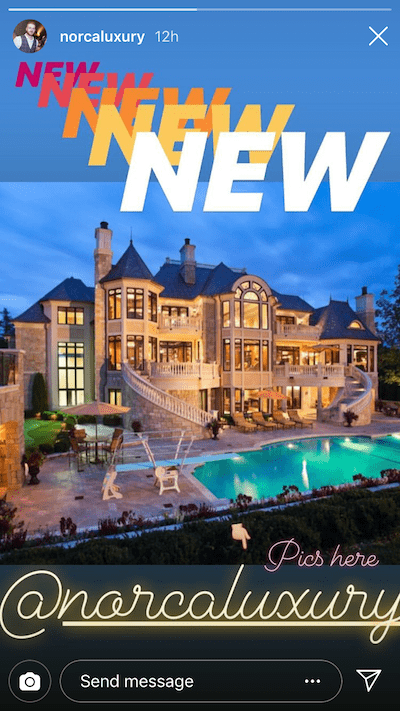 The great news is that many of these realtors have already built their own audiences, which you can tap into fairly easily. 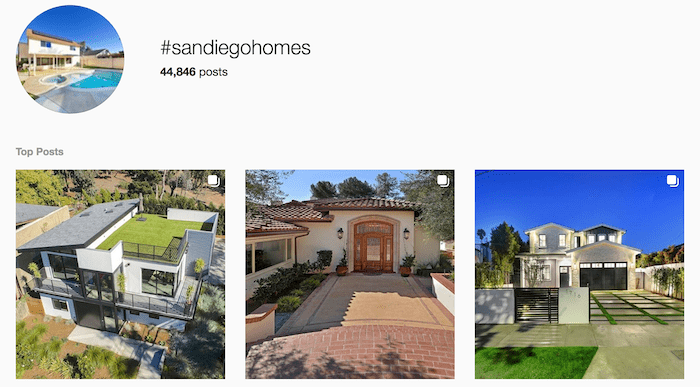 If you’re a realtor in San Diego, you can go check out the top 9 posts under the relevant hashtags and start some conversations. The people who read your comments will be following similar realtors and are very likely to be in the market for a home in the area. And if you’re showing your prominence and expertise in the industry, people are likely to look to you for help. Instagram is a social platform, but people are more likely to remember you and see you as an authority if you provide them with value, and a great way to do this is to share educational content. If you’re not already doing this — do it! If you are already doing it — do more of it! Educational content about real estate or the home-buying process in general — You can answer FAQs about the buying process, address common mistakes or just talk about the market in general. Educational content about you as a realtor and your process — use this content to separate yourself from your competition and share information such as what people can expect when they show up to an open house, or what advantages of working with an independent realtor vs a larger corporation. Educational content has been proven to generate more conversions because it tackles any objections and addresses any anxieties people might have about buying from you — something that’s so important for people who may invest in a big-ticket item like a house. Like, really. In fact, 92% of consumers are more likely to trust non-paid recommendations than any other type of advertising. What does this mean for you as a realtor? It means that prospective buyers are more likely to go with you if other people have done so in the past and had a good experience. Encourage people who attend your open houses to post pictures on their own Instagram. You could run a photo contest to spur visitors into action, or you might put up a funny sign that they’ll want to take pictures with. 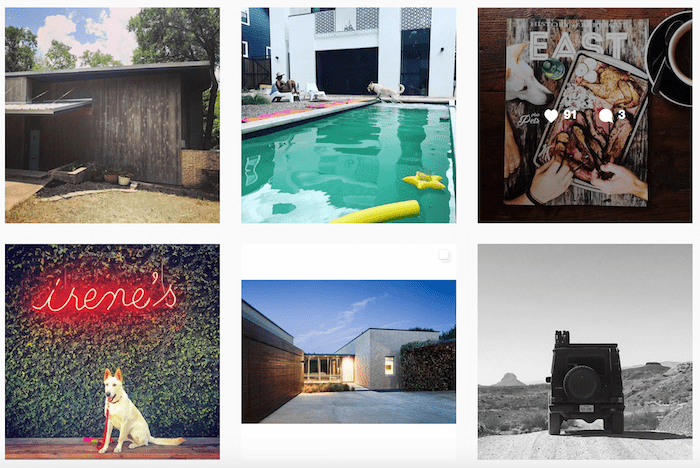 Encourage buyers to post about their new home on their Instagram and get them to tag you. The tagging is the important bit! Share customer stories as often as you can. This is particularly true if you have a great story — say, for example, you helped someone buy a home and then helped them sell it years later for a handsome profit. That’s something lots of prospective buyers would like to see! The trust factor is incredibly important for conversions, and social proof helps build that with your audience. 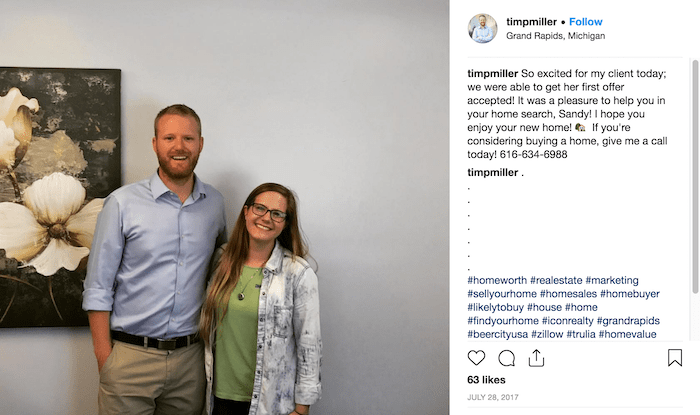 The realtor world is pretty friendly, and you’d be amazed at how many of your fellow realtors will offer you a hand and help propel your Instagram presence. It’s a no-brainer to do ‘shoutouts for shoutouts’ or promote their open houses in exchange for them promoting yours. Work together to boost exposure and reach new audiences. Teamwork makes the dream work, and getting recommendations from other trusted realtors in your area means people are more likely to trust you and buy from you. As a realtor, creating an online presence is vital if you want to keep attracting the attention of future buyers — and Instagram is the perfect place to do this. 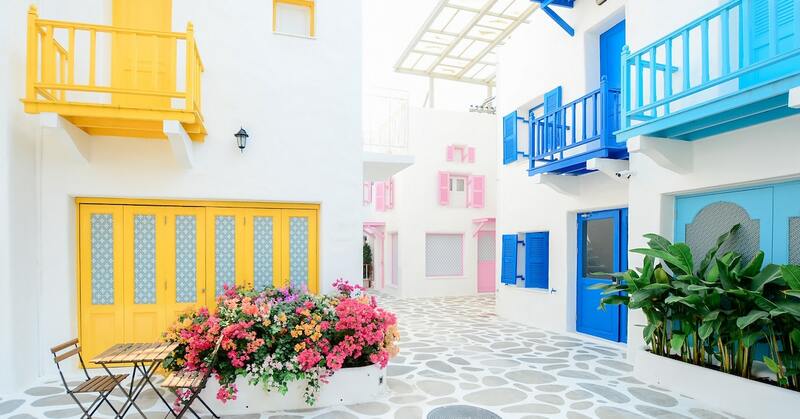 Not only does the platform’s visual nature lend itself perfectly to a portfolio of pretty houses, but its additional features (like Stories) give you the chance to get more personal with your audience to create deeper connections and show off your expertise. What success stories do you have from using Instagram for your business? Share below!